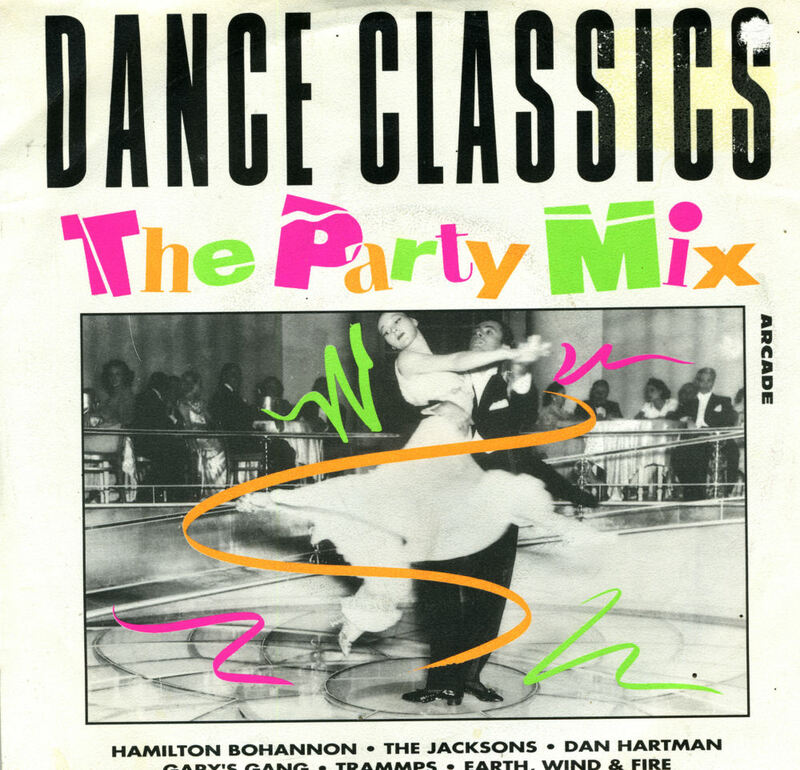 The second half of the Eighties was littered with remixes of old tracks. Somehow record companies thought it was a cheap way to make profits without having to pay for studio time - except the time for the remixer of course. But in some cases, even the remixers didn't even spend that much time on it. 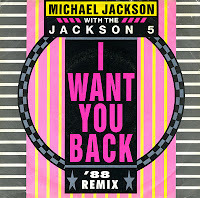 Take this one for example: an '88 remix of the old Jacksons hit 'I want you back' with a young Michael Jackson. In 1988 the name Michael Jackson meant a lot to a lot of people. Popular remixers Phil Harding and Ian Curnow were recruited for a remix. They added a drumbeat, and there you had it: a new single. A poor effort, however. But even this reached number 8 in the UK singles chart. You don't hear the word 'boogie' anymore. 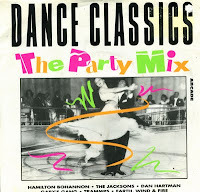 Back in the Seventies, is was the buzzword for having a good time, dancing around and generally going out of your mind. 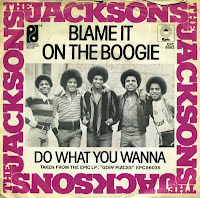 And the Jacksons, Michael included, had one of their biggest hits with 'Blame it on the boogie' in 1978. 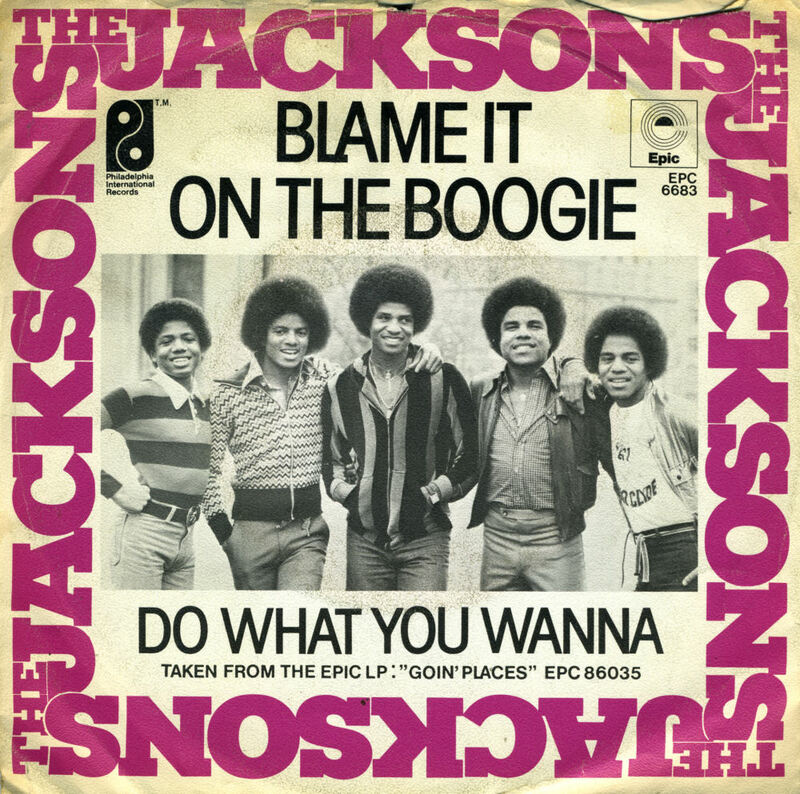 The first promotional music video by the Jacksons was created for 'Blame it on the boogie', thus marking Michael Jackson's video debut. The video, featuring the group's members dancing on a black background, relied heavily on vintage electronic trail effects, created at Image West, Ltd. using then-cutting edge equipment: the Scanimate analog computer system and a Quantel DFS 3000 digital framestore. 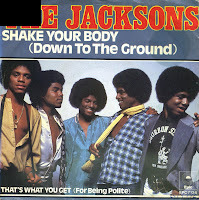 Released as the first single from the Jacksons' album 'Triumph', 'Lovely one' was the followup to their 1979 hit, 'Shak your body (down to the ground)'. 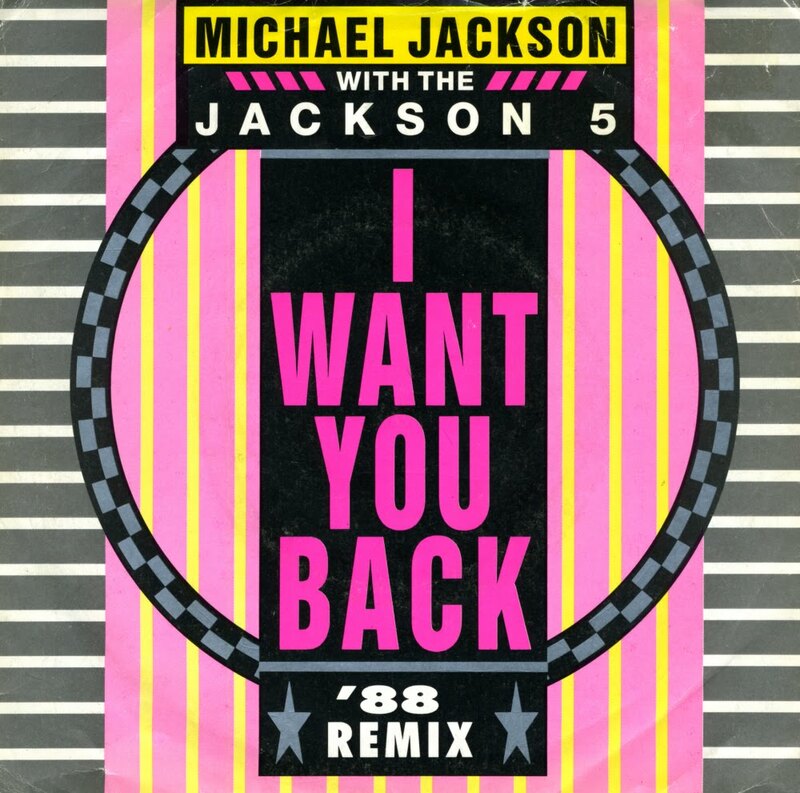 Lead vocals in this song were performed by Michael Jackson, while his brothers Jackie, Tito, Randy and Marlon performed backing vocals. The single reached number 12 in the US Billboard Hot 100 chart, number 29 in the UK singles chart and number 13 in the Dutch Top 40. 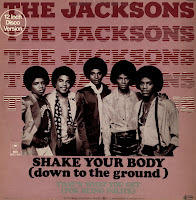 'Shake your body (down to the ground)' was released as a single from the Jacksons' album 'Destiny' in December 1978. The single version was edited down to almost four minutes from the original eight minute album version. The single reached number 7 in the US Billboard Hot 100 chart, number 4 in the UK singles chart and number 3 in the Dutch Top 40. Performed during the Michael Jackson 30th Anniversary concert at Madison Square Garden in September 2001, it would be the last song performed live by the Jacksons. Michael Jackson and his brothers formed the Jacksons, a successful group that made hit singles until the Eighties, after which solo careers took preference over the group effort. 'Can you feel it' is arguably the band's last big hit, released on the 1980 album 'Triumph' and released as a single in early 1981. It reached number 6 in the UK singles chart and number 2 in the Dutch Top 40, while it only reached number 77 in the US Billboard Hot 100 chart. The accompanying music video was noted for its remarkable special effects created by Robert Abel and Associates. Michael created the video's concept and Tito's sons Taj and Taryll appeared as extras. It's hard to believe now, but 20 years ago, when you wanted to hear a song and not be dependent of radio stations, you actually had to buy records. You could also opt for cd's, but since my money resources were limited, I usually bought singles. 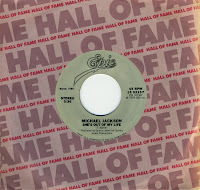 And this is how I ended up with this single from the 'Hall of fame' series by Epic Records. 'She's out of my life' was an old song from 1980, which I did not have. I really wanted to have it, and while I am usually searching for picture sleeves, in this instance I made do with this release. Even if it didn't look that attractive, and even if the B-side was already part of my collection. These days, most people just download tracks somewhere. Life has become so much easier. 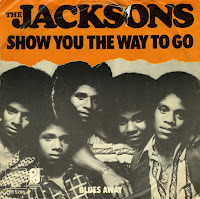 'Show you the way to go' was the second single by the Jacksons (They were named the Jackson 5 before that). It was their first hit in the Netherlands, where it peaked at number 12 in the summer of 1977. In the UK, it did even better: it reached number one. The song was written and produced by Kenneth Gamble and Leon Huff, who were responsible for the majority of the Jacksons' work after they moved from the Motown label to Epic Records. 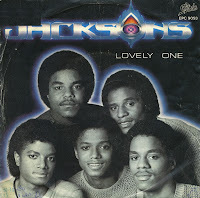 In 1978, when they released 'Destiny', the Jacksons finally took over creative control. When people ask me what music I would like to have played on my funeral, I usually cite titles like 'Down down deeper and down' (Status Quo) and this one by the Jacksons. Released as a single in December 1978, this track became a hit for the group in 1979, reaching number 4 in the UK and number 3 in the Netherlands. The 12" single contains an 8'37 extended remix, which is half a minute longer than the album version on 'Destiny' (1978). 'State of shock' was recorded by The Jacksons with Mick Jagger in 1984 for the album 'Victory'. Originally the song was going to be a duet with Freddie Mercury, with whom Michael Jackson wrote it. Unreleased demos have surfaced on bootleg discs to testify to this fact. The Jacksons finally recorded the song with Mick Jagger. Mick Jagger performed the song live with Tina Turner during Live Aid in 1985. I bought this single after my recent surge of interest in Michael Jackson's back catalogue. This is a great example of a powerful pop song with not a lot of substance. Still very enjoyable though. 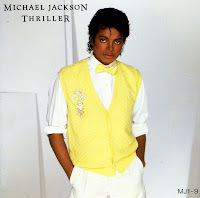 The title track from the album 'Thriller' was released as the fifth single. 'Thriller' is one of Jackson's signature songs, in no small part because of its music video, a 14 minute epic which features extra parts of acting and lots of impressive crowd dance scenes. This single was pressed on red vinyl and is part nine of a limited edition nine disc set released in 1983. The singles 'P.Y.T. (Pretty Young Thing)' and 'Human nature' were not included in this package. 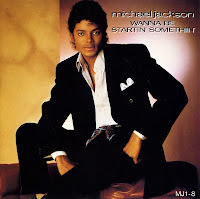 'Wanna be startin' somethin'' was the fourth single taken from the album 'Thriller'. 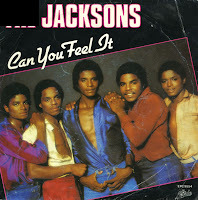 It was originally intended for the album 'Off the wall' but was not recorded until the sessions for 'Thriller' in 1982. The song was written by Michael Jackson and produced by Quincy Jones. The song ends with a chorus repeatedly singing 'Ma ma-se, ma ma-sa, ma ma-coo-sa', which is an African chant. This chant was later re-used in Rihanna's 2007 single 'Don't stop the music'. This single was pressed on red vinyl and is part eight of a limited edition nine disc set released in 1983.